Installation Note: If carburetor is equipped with a black plastic cover then you must also purchase a special choke cable clamp kit, 510-45-456, if you wish to retain hand choke cable operation. Make Your Holley Look Sharp. 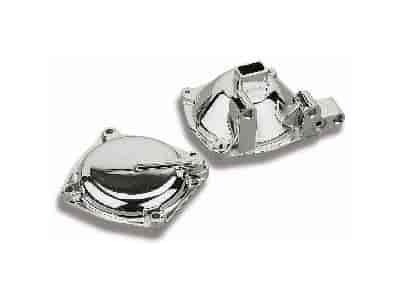 The Holley Chrome Vacuum Secondary Diaphram Cover is the next step in engine detailing. These bolt-on chrome goodies for your Holley carb are designed to provide excellent fit, function and show quality looks!